once the new year rolls around, everyone is going to be talking about health goals-work out more, lose weight, eat healthy, etc. we all know the drill. the gym in january is a nightmare, and restaurants are dead as people vow to eat at home more. i'm totally guilty. i generally exercise a lot and eat pretty healthy, but something about a new year feels like a new start with health. those goals are all great, but how many of us think about staying on top of physicals, yearly labs, etc? i don't hear many people resolving to see the doctor in the coming year, but we probably should. it seems like we avoid the doctor because it's a hassle to schedule or we forget or we just don't want to. 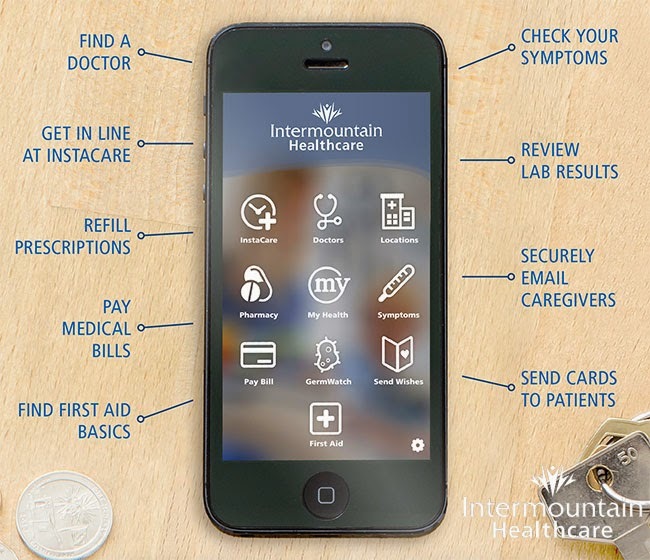 intermountain healthcare is making it a little easier for us to stay on top of it. 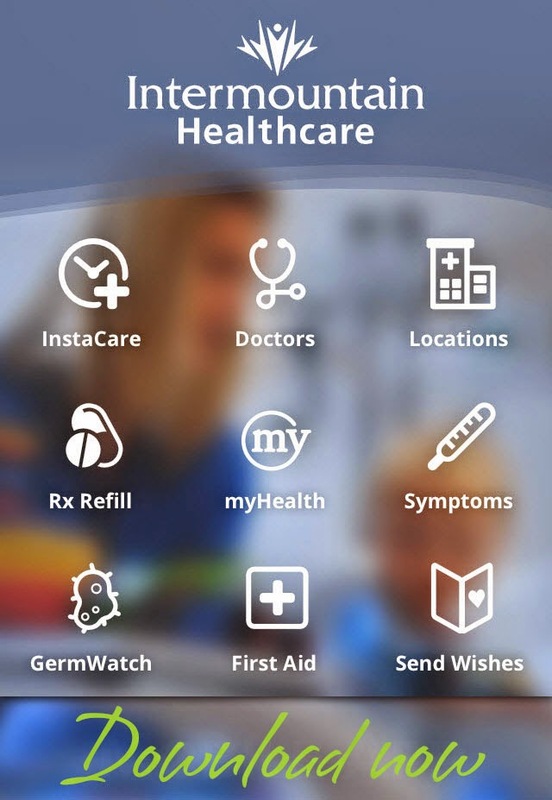 Intermountain Healthcare has developed a free new mobile app, called “Intermountain Health Hub,” which is an all-in-one tool that makes managing healthcare easier. It gives users many different features designed to simplify their entire healthcare experience, including the ability to access their medical records while on the go. The app can be downloaded for free from the iTunes App Store and Google Play. · GermWatch: Find out how prevalent various germs are in Utah, and see how their activity level is trending. Learn about symptoms, how germs are spread, treatments, vaccinations, and when you should contact your doctor. · InstaCare and KidsCare urgent care centers: Hold your place in line before you arrive and compare wait times by Utah location. Also find KidsCare after-hours clinics in Utah and information for making appointments. · My Health: Users can access the password-protected My Health patient portal, where they can securely message their Intermountain doctor, check lab results and other parts of their medical records with Intermountain Healthcare, and review benefits and claims. · First aid: Get first aid tips for common injuries such as sprains, burns, cuts, etc. · Prescription refills: Request refills at Intermountain pharmacies and check the status of prescription requests. · Symptoms: Search for adult or child/baby symptoms by key word, body area, or alphabetically by topic. Find out when you should see a doctor or call 911. Learn about self-care options. “favorites” for quick reference later. · Locations: Find Intermountain hospitals, clinics, and pharmacies near you and save your favorites for quick reference later. · Pay bills: Pay Intermountain Healthcare bills by credit card or eCheck. · Send wishes: Send cards with personalized messages directly to patients in Intermountain hospitals. 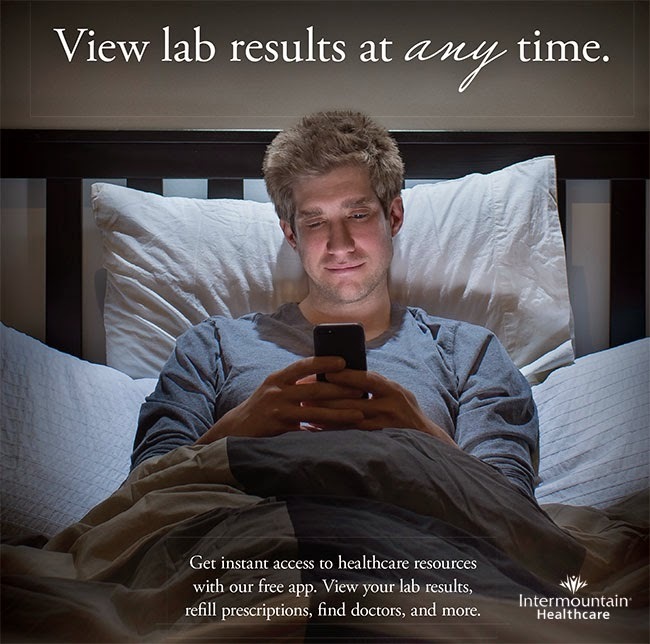 For information on other Intermountain Healthcare mobile apps, visit http://www.Intermountain.com/mobile. it's a pretty cool app. everyone should check it out. to encourage people to test out the app, intermountain healthcare is running several giveaways (over on their facebook page) and here (with rafflecopter below). 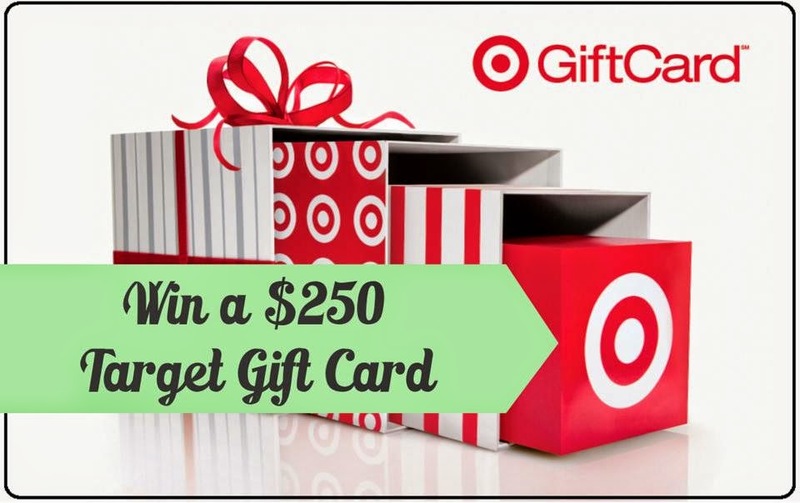 the app is free so go now and enter to win. **this post is sponsored. all opinions are my own. I need to get this, I've seen stuff about it everywhere :P But my phone won't download anymore apps currently, so until I get my new one in a month or two, I'm out of luck! So will this download health info from any hospital or medical network? Just curious!